Nowadays, many people use Instagram Bots. But usage of them needs some rules for the better result on your Instagram page that everybody should know. 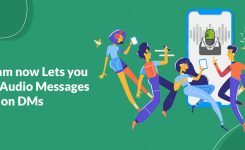 So, we write them on this blog to use Instazood better than before. 1. You shall have no other bot beside me. Using multiple Automation Services at the same time can cause to get banned from Instagram. So be aware of that risk, especially if you have used a follow like — app on your smartphone for example. 2. You shall not be greedy. Especially when you start and pay the money for an Instagram Service, you wanna see fast results! 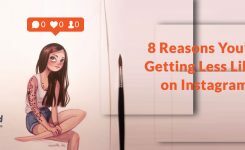 But let’s make this crystal clear — Instazood’s mission is to get real followers. That means we are picking exact the audience that you tell us to target. Real people are not always on their smartphone, real followers will follow you if they really like your content. So, if you put out a lot of content, with proper hashtags, locations and targets, following a content strategy, our automation service will boost and improve your results. 3. You shall never run out of targets. Where are you located? If you have a local business in the US, it doesn’t make sense to target people in Europe. But it makes total sense to target people in your city! 4. Remember to Unfollow, to keep your profile special. Instagram has a Limit of 7500 people you can follow. To hide a bot, the best technique is to have a 50% Ratio — That means for example if you have 4000 Followers, your Unfollow Schedule should start as soon as you reach 2000 Followings. You can also schedule the unfollow function for a specific time of the day. Once you have setup everything, you can relax. 5. Don’t push the tool to the max. We developed this service with the goal, to keep your account safe from the risk of getting banned. Therefore you have to show Instagram from time to time human behavior. One of the most common behaviors is the number of actions. Our service has multispeed selector, we recommend to use it with care. Slow or Normal are our recommended speeds if you are using multi automatic actions. You can set up fast speed for more than 8000 followers and you had to use for some months. Don’t set Fast speed if you are using Autolike + Autocomment + AutoDM, etc… allready together at same time. 6. You shall know your social media goals. If you have no reason to get more followers, you will end up with real followers who actually don’t care about you. Why do you wanna grow an audience? Do you wanna make sales? Do you need a social proof for your business? Do you wanna spread a message? Do you wanna advertise your service? Just getting followers is easy nowadays. You can buy fake follower for cheap money. 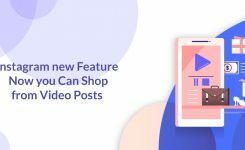 We recommend Instazood only for brands and businesses who need a social proof for new customers. 7. You shall adjust your automated comments neutral, creative and funny. The Internet is full of automated comments. People are annoyed or ignore them nowadays. We have for the start also a neutral setup with comments for you. But we highly recommend using some authentic comments, that actually fits your target audience. If you are creative and funny, without risking a wrong word under a funeral post, your engagement rate can increase and more people will follow because of the interaction with you. We will always recommend you to add some different neutral comments in your settings if you use Autocomment action. Seems that by reason of last changes on Instagram it’s not enough anymore. Of course, we understand that it’s not possible to think out and add hundreds comments by hand. But what if you will be able to add 1000+ different neutral comments just with one string? 8. You shall write compelling direct messages who create engagement. The direct message service can be gold for you if you use it right. Soft selling is the future, if you come up with your sale in the first place, this can create a spammy first impression. You can say a Thank you for following and then simply put your best for a soft selling of the product or service, 1 of 5 will reply you to know more about your product! 9. You shall answer all your comments. Think always about the fact, people spend time and energy on your post. You should honor their time in the same way they honor your post! 10. You shall focus more on creating good content. So now you are using an Instagram Bot, you have more time for yourself. Use that free time to create better pictures, tell better stories and put more effort into your Instagram account. Imagine, you grow on Instagram over 200K Followers, and your profile and your content doesn’t look like 200k? An Instagram Automation Bot is a very powerful social media tool. But with Power comes responsibility!